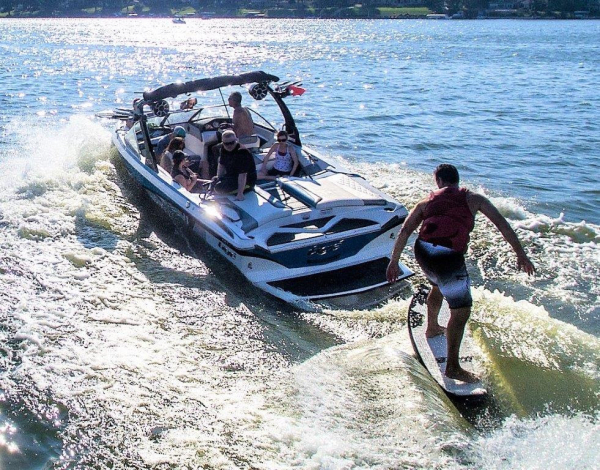 Earlier this week, a Vermont State Senator introduced legislation (SB 69) that would effectively ban wake surfing in the state by prohibiting boat “plowing,” in which a bow rides high and the boat stays off plane. NMMA is firmly opposed to this measure and is actively working to prevent it from becoming law. The bill would also require the development of regulations to ban wake boats from specific public waters, taking into consideration existing opportunities for fishing, other boating and predominant use of adjacent lands, as well as scenic beauty and existing uses. The regulations would exclude Lake Champlain and Lake Memphremagog. SB 69 may be the first bill to call for a statewide ban of ballasted boats. Blocking passage of this bill is a top priority for NMMA and the Watersports Industry Association. For more information, please contact NMMA vice president for state government relations, David Dickerson at ddickerson@nmma.org.